We were looking at ways to save in 2016 in last week's Finance Fridays. For this week it's all about the money we earn and declaring it. It's fair to say that a certain amount of panic has set in the last couple of weeks. From all corners of my little world I have been asked about Self Assessment forms and what needs to be done with them. I'm not an accountant and I can't give legal advice but here are a few pointers to get you organised. Who needs to complete one? - Anyone who has untaxed income. If you receive all of your salary through Pay As You Earn (PAYE) then you shouldn't need to complete one. However if you are self-employed or have other income through such things as company health or car benefits, investments, property rentals or overseas ventures then you probably will need to complete one. If you have simply been selling your unwanted tat (or treasures) on eBay or at car boot sales then HMRC don't want to know about that. However, if you have been buying items specifically in order to sell them on then this is a business and you need to declare any income on it. When is the deadline? - If you need to complete a Self Assessment form for the 2014-15 tax year it needs to be submitted by midnight on Sunday 31st January 2016. The deadline for paper forms passed on 31st October 2015 so it needs to be done online. What if I miss the deadline? 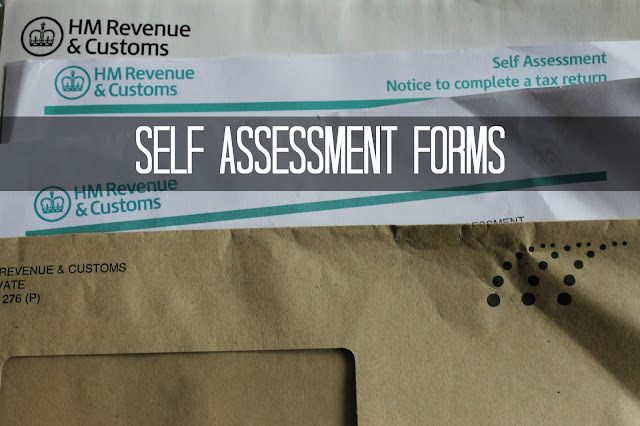 - You will need to pay a penalty of £100 if you don't submit your Self Assessment form on time. This is even if you don't owe any tax. If you still haven't submitted the form within 3 months of the deadline then you will have another penalty to pay on top of that. HMRC will accept 'reasonable' excuses for late submission such as death of a close family member or a stay in hospital. Burying one's head in the sand will not be accepted! If you haven't submitted your 2014/15 self-assessment form yet do it now! There may be additional information you need to get hold of or questions you need to ask. If you have any queries do contact HMRC or seek advice from a qualified accountant. We were joined last week by Jane and her explanation of the local authority owned Robin Hood Energy. If you want to join in with this week's Finance Fridays then add your link to the linky below. Any post concerning financial matters is allowed. Full details here. It doesn't have to be published today as you have until 23.55 on Tuesday 19th January 2016 to join in. Grab my badge below for your blog post. I trained as an accountant and married one. He does all my tax now and mine was done ages ago! Preens! Oh gawd. Tax returns. Don't mind me, well, do remind me. Argh. I'll do it tomorrow - it's so complicated as I have rental land, rooms, property, I've changed jobs, surrendered company vehicles, been registered as self-employed, did some freelance work. Anyone want to do it or me?